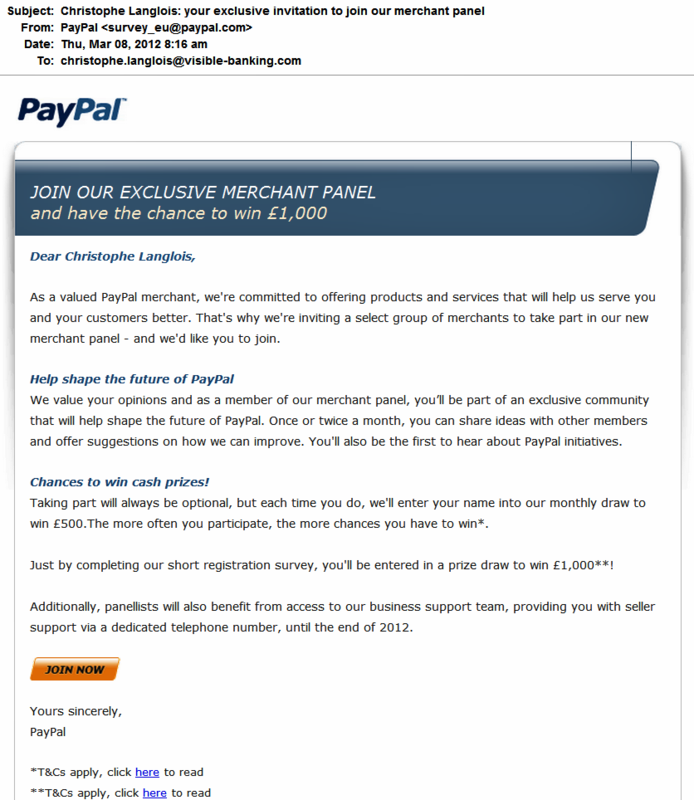 Last week, I received an ‘exclusive’ invitation to join PayPal’s new Merchant Panel. So in a world of crowdsourcing and innovation platforms, how inviting and engaging is this new initiative? How appealing is the reward? Just like Apple, PayPal isn’t exactly well-known for its brilliant social media strategy. They are both brilliantly successful brands which haven’t started to fully leverage the power of channels like facebook or twitter. If you are as excited as I was when I receive PayPal’s invitation, please allow me to manage your expectations: this panel seems to deliver exactly what’s ‘on the can’: if I base my initial review on the registration phase, I confirm it looks like a regular, traditional, no-frills user panel.